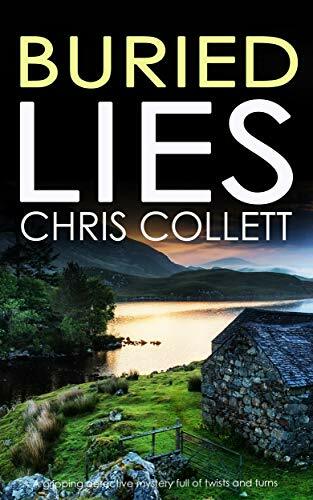 I think I’m caught up on Chris Collett’s Inspector Mariner police procedural series now. All the books to this point have been titled (or re-titled; at least some were originally published under different titles) with names including the word “Lies.” Now they’ve come out with a new book that breaks the pattern – A Good Death is the eighth book in the series. I found this one a tad stressful, because it dealt with religious people more than earlier books. One Christian and one Muslim family are involved and – predictably, in our times – the Muslims appear somewhat more admirable than the Christians. Though the author doesn’t take a hatchet to either side. Inspector Mariner makes a dismissive comment about “God-botherers” and one point, but that’s consistent with his established character. He doesn’t “get” religion – like most Caucasian Europeans. A Good Death involves the investigations of three separate deaths. There’s the death in a house fire of an elderly Muslim patriarch – quickly identified as arson. This is complicated by the discovery of a second body in the ashes of the same fire. The Inspector Mariner mystery series is a solid one. A Good Death was not my favorite of these books, but in spite of my comments on the handling of religion, it was not offensive. Recommended, with the customary cautions. Sorry I didn’t post the last couple nights. I was having trouble with myinternet connection. Still not sure the problem is solved. It seems to work fine in the mornings, but in the evenings it freezes up like an old man’s knees. My plan was to review another Inspector Mariner mystery, byChris Collett. Missing Lies is the seventh book in the series, concerning abachelor police detective in Birmingham, England. In the previous book, Tom Mariner became the guardian of anadult autistic man. 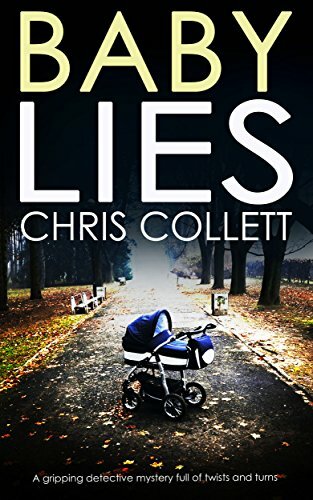 This gives author Chris Collett (who is a woman) a chanceto teach him a lesson about what working mothers go through. (Personally,unreconstructed Victorian that I am, I think it just proves that mothers shouldstay at home, if they can). Anyway, Mariner now has to structure his lifearound his dependent, and it’s an annoyance and an education – through it hasits satisfactions too. On top of this, his most valuable subordinate, a newmother, is on maternity leave, and his second most valuable, a man, is on aspecial assignment. Another male subordinate appears to be less than diligentat his work – but is doing more than Mariner thinks (this character, interestingly,is a born-again Christian). A new member of the team, very promising, is yet another single mother. In Missing Lies, a young woman, daughter of a prominent citizen, has disappeared. She started out along a city street to a party and never arrived at her destination. The case gets headlines, and corresponding pressure from superiors. Then a package arrives at police headquarters, containing most of the young woman’s clothing, all meticulously laundered and pressed. Then another woman disappears. And another package arrives. The mystery will spread far afield, and then spiral back in close to home. I liked Missing Lies. Mariner is a solid character,believably solitary, carrying old scars. He is skittish withrelationships, but we are given reasons to understand him. Recommended, with only minor cautions for what you’d expect. 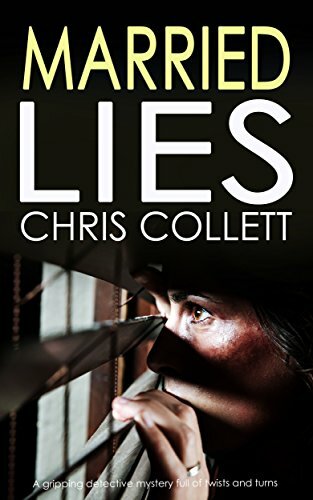 Continuing the DI Tom Mariner police procedural series by Chris Collett. This story takes Mariner out of his usual haunts in Birmingham, to a more rustic setting. At the end of the previous novel in the series, Married Lies, Tom Mariner suffered a shocking personal loss. When Buried Lies begins, he has decided to take a holiday – a walking tour in the Welsh mountains. Back in his teens, he spent a summer in a village there, and he thinks he’ll revisit some old scenes. At the same time, an ex-prisoner begins a series of revenge killings, repaying old “wrongs.” Everyone thinks he’s headed for Ireland, but in fact he’s on his way to Wales. Driving to Wales, Mariner picks up a hitchhiker, a personable elderly academic who doesn’t seem to know much about walking tours. By chance they reconnect in Mariner’s destination village, where they share a room in a former youth hostel, owned by a woman who was Mariner’s girlfriend on that long-ago summer. Meanwhile, Mariner comes across a murdered body on one of his hikes. And he grows curious about a local estate owned by a mysterious Russian, as well as a neighboring farm which claims to be growing organic vegetables(though Mariner can’t figure out how they’re paying the bills). When Mariner discovers yet another murder victim, the local police have no choice but to arrest him on suspicion. I enjoyed Buried Lies, though I thought it tried to juggle too many balls at once. The final dramatic climax seemed a little contrived. Still, Mariner is an interesting and admirable investigator, and the characters were interesting. Recommended with only minor cautions. 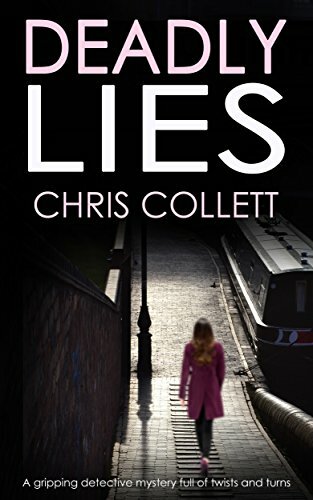 Number five in the Detective Tom Mariner series of police procedurals by Chris Collett, set in Birmingham, England. In Married Lies, a wealthy and well-liked woman is found dead in her house, poisoned in a particularly cruel way. And another woman contacts the police about a stalker. There have been strange phone calls and unrequested packages in the mail, and she’s sure someone has been following her home at night. Tom Mariner works the murder case, though he’s still reeling emotionally from the break-up of his relationship with a very good woman who finally ran out of patience. He assigns his subordinate Millie Khatoon to the stalking case. Both cases gradually converge, and the end of the book is a real shocker. I enjoy the Tom Mariner books, and this may have been the best so far (though the ending was disturbing). But I’m stymied in reading the series, since books #6 and #7 are only available in dead tree form, while #8, the most recent, is available for Kindle. I don’t want to jump ahead, so I guess I’ll wait for the intervening books in ebook form, before going on to #8. Cautions for intense situations and language. 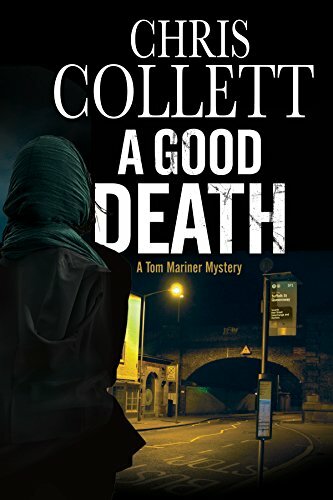 Another novel in the Inspector Tom Mariner series, by Chris Collett. Baby Lies begins with the heartbreaking abduction of a baby from a “creche” (that’s what the English call a day care center for very young children, as I understand it). This was the first time the mother in question had ever left her baby in anyone else’s care, and she’s understandably distraught. The Birmingham police pull out all the stops in investigating, and everyone is thankful when the baby gets returned unharmed a few days later. But there’s more going on than that, as Inspector Mariner begins to realize when elements of a previous unidentified body case start intersecting with the baby snatching. What they begin to uncover is bigger and darker than they could imagine. Meanwhile Mariner and his girlfriend Anna are planning to move to a smaller, quieter town. It’s what Anna wants, and Mariner is willing to go along to please her. But can it work for them? I found Baby Lies suspenseful and compelling. The ending was a little disappointing, but only from an emotional perspective, not a storytelling or plot perspective. Cautions for mild adult stuff. I’m working my way through Chris Collett’s Detective Tom Mariner series of police procedurals. Our commenter Paul revealed to me after my last review that Collett is not, as I had assumed, a man, but is in fact a woman. Kudos to her for doing an excellent job creating plausible male characters, something that – in my experience and prejudice at least – most female authors have a hard time doing. When Innocent Lies begins, DI Mariner is working on the disappearance of a lower-class teenaged boy. He has history with the family, and so is upset when his temporary boss pulls him off that case to work on another disappearance. This one is the daughter of a well-to-do Muslim family. Mariner feels, with some justification, that there’s discrimination in the allocation of resources. The story turns out to be baffling and complex – the missing girl had secrets from her parents, and racial tensions make themselves visible. 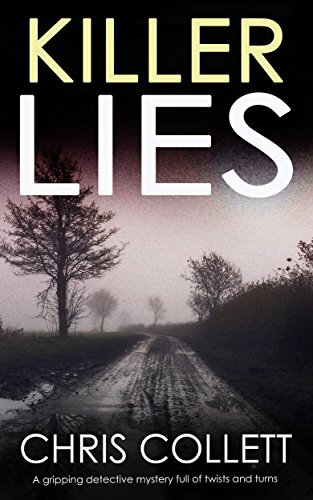 I didn’t enjoy Innocent Lies as much as the previous two I’ve read in the series, but it’s a compelling story. I think what I mainly missed was more of Mariner’s girlfriend Anna, who appears to be the most understanding girlfriend in history. I’m not sure I believe in her, but I like her. One thing that troubled me was what looked like factual a reference to a hate crime in America. To the best of my knowledge, it never happened. Oh yes, I figured out whodunnit. Still, recommended. Cautions for the usual. 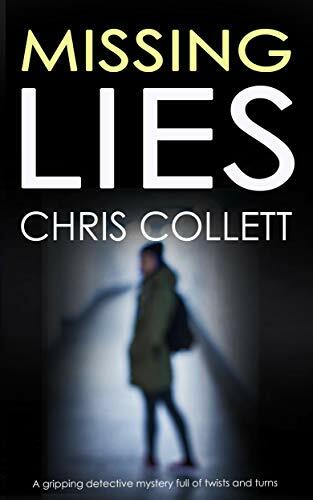 This mystery is part of a series of police procedurals by Chris Collett, starring Inspector Thomas Mariner, who operates in Birmingham, England. Mariner, the hero of Killer Lies, is a divorcee, involved in a new relationship with a remarkably patient woman. She needs to be. It’s not that he’s a bad man, but he has issues. He was raised by a single mother back before single mothers were cool, and his personal list of deflective habits makes it hard for him to sustain a relationship, especially under the kinds of pressure this adventure ushers in. The story begins with the murder of Sir Geoffrey Ryland, a prominent government official who worked to uncover old police misbehavior and reverse miscarriages of justice. He and his wife are shot in their car one night, but the police believe the real target was their chauffeur, a man once convicted of drug dealing, but whom Ryland had gotten released. Mariner gets involved in the investigation when he learns, through a friend, that there was a puzzling connection to himself. Then Mariner experiences a devastating event that leaves him shaken and a friend injured. He has never entirely worked through the challenges of his childhood and the death of his mother. Now he’s suffering from full-blown PTSD and refusing all offers of help. If he can’t get some answers and fill in some blanks in his own history, his relationship and his career may be ruined. I was fascinated by Killer Lies. The plot was complex, and Thomas Mariner was a compelling character. It’s always kind of frustrating when you read a story where a large part of the challenge comes from the main character simply refusing to do some “simple” thing. Mariner might have been very annoying, but author Collett manages to convey his essential vulnerability and fear. At least for me, it made the story a grabber. Recommended, with the usual adult cautions. Mariner is portrayed as an agnostic, but there’s a decent Catholic priest in the book. 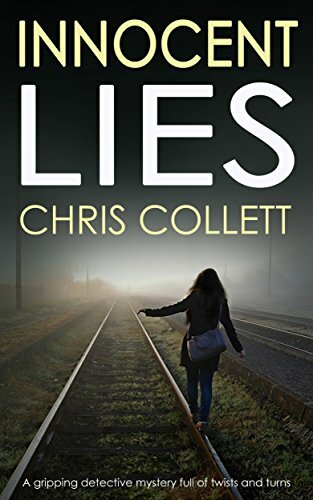 The first novel in the series is Deadly Lies, and I’ll be reading that.